When billions of songbirds make their yearly trip from their winter homes in South and Central America to North America, they are not alone. 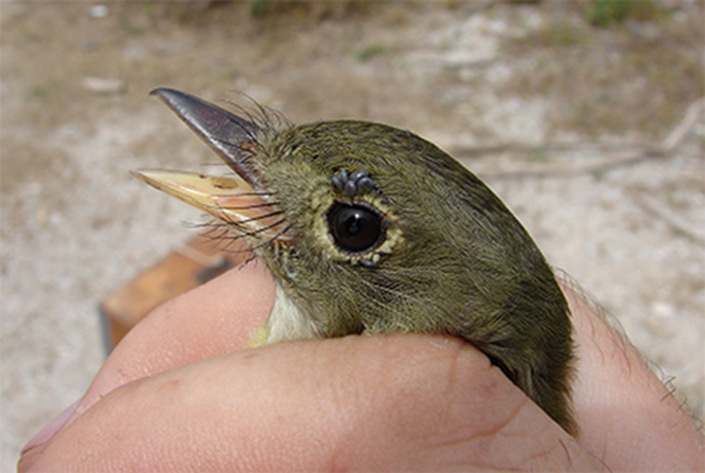 Some migratory songbirds pick up hitchhikers—specifically ticks, according to a study from researchers at the Texas A&M College of Veterinary Medicine & Biomedical Sciences and the Smithsonian Conservation Biology Institute’s Migratory Bird Center. Researchers screened songbirds in the springs of 2013 and 2014 at stopover sites along the Gulf of Mexico’s northern coast, where birds rest and feed during their northward migration. From this sampling, the study’s investigators estimated the number of neotropical ticks from South and Central America making their way into North America on songbirds as well as which birds were more likely to carry ticks. The study, published in Applied and Environmental Microbiology, found 3.56 percent of the 3,844 birds sampled carried ticks, the majority of which were neotropical tick species. While this percentage may seem small, when extrapolated to all migratory birds making their way into North America annually, the researchers estimate over 19 million neotropical ticks are imported each spring.